Cadet Andrew Chappo, a 2011 Staples High School graduate, recently graduated from the United States Military Academy Preparatory School. 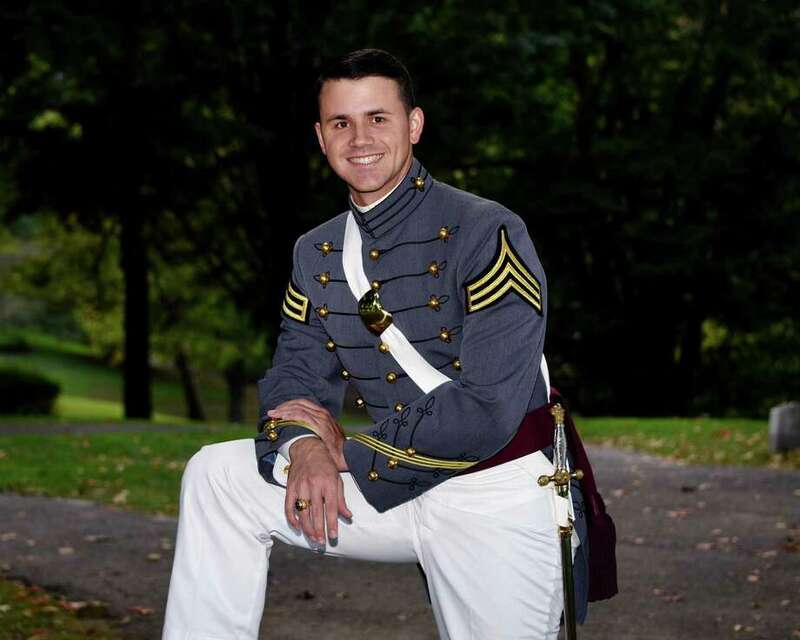 Cadet Andrew Chappo, a 2011 Staples High School graduate, recently graduated from the United States Military Academy Preparatory School, also known as West Point. While at West Point, Chappo served internships for U.S. Sen. John McCain and at the State Department. Chappo also participated in a cultural immersion program in Ghana, West Africa. In his last cadet assignment at West Point he served as an Honor Board president. On Dec. 22, Chappo graduated with a bachelor’s degree in economics. Following graduation, he was commissioned a second lieutenant in the U.S. Army. In mid-February, Chappo will report to Ft. Sill, Oklahoma for Field Artillery Officer Training and then to his first assignment with the First Cavalry Division at Ft. Hood, Texas. Cartus Corporation, a leading provider of global relocation services, appointed Westport resident Rob Whitehurst as senior vice president of Americas, strategic business development. He will be based in Cartus’ worldwide headquarters in Danbury. Whitehurst comes to Cartus from Hewlett-Packard, where he was the global head of digital sales. Prior to his work with Hewlett-Packard, Whitehurst was a regional vice president, EMEA and APAC, with Gartner. Whitehurst earned a Bachelor of Arts in business administration from Franklin and Marshall College. The Westport nonprofit Positive Directions appointed a new executive director. Positive Directions, a community-based, nonprofit located in Westport, provides alcohol and substance misuse prevention and individual counseling services to residents in Fairfield, Norwalk, Weston, Westport and Wilton. Jennifer Hrbek spent the last four years at the Women’s Business Development Council where she was instrumental in leading program development and community partnerships in support of female entrepreneurs throughout the state of Connecticut. She also spent a year as a therapist and worked at Silver Hill Hospital. Hrbek holds a master’s degree in social work from Fordham University and is a certified financial social worker. Ferdinand IP, an internationally-recognized boutique law firm with offices in Connecticut, New York and California, relocated its Connecticut office to a new location in Westport. Conveniently located in the Greens Farms area, the new space will enable the company to accommodate its growing staff and client roster. Founded in 2013, Ferdinand IP specializes in intellectual property, licensing, valuation, corporate law and litigation for more than 250 clients ranging from multinational Fortune 500 companies to tech startups. The new 2,800-square foot office showcases neutral tones, hints of wood and a large conference room, allowing for greater team collaboration. The modern space primarily houses the executive, operations and finance teams and is located at 1221 Post Road East, Suite 302. The Fairfield Museum invites professional, serious amateur and student photographers from Connecticut, New York, Rhode Island and Massachusetts to participate in the “IMAGES 2018” Juried Photography Show. Submissions will be accepted from through Jan. 22. “IMAGES 2018” provides an opportunity for artists to connect with prominent collectors, gallery owners, fellow photographers and the public. A jury of artists, photographers and curators selects approximately 40 submitted photographs for exhibition in the “IMAGES 2018” show, which will be on display at the Fairfield Museum and History Center March 1 to April 15. The Westport Department of Human Services reminds seniors the department offers a list of middle and high school students willing to work small outdoor jobs such as raking leaves or shoveling walkways. There is a suggested fee of $10 per hour. Seniors needing assistance may contact the department at 203-341-1050. Students interested in helping a senior and earning extra money can contact the department or email humansrv@westportct.gov. Students already registered for the program are requested to contact the department if they wish to remain on the list. Written permission from a parent or guardian is necessary. PaintCare, a no-fee paint recycling program, will be available to Westport residents at the Westport Transfer Station. Residents may take advantage of this program by bringing latex paint, oil-based paint, primer, stain, sealer, varnish and shellac (no spray paint) to the Westport Transfer station, 300 Sherwood Island Connector, Monday through Friday from 7 a.m. to 2:30 p.m. and Saturday from 7 a.m. to noon. There is no charge for recycling paint at the Transfer Station site for Westport residents, nor are any local tax dollars expended. The program is funded by a PaintCare Fee of 75 cents per gallon, which is added to the purchase price of paint sold in Connecticut. This fee is used to fund all aspects of the PaintCare stewardship program. Collected fees pay for paint collection, transportation, recycling, public outreach and program administration. The addition of this program to the town’s recycling efforts is expected to reduce annual hazardous waste processing by $3,000 to $4,000 annually. The paint dropped off at the transfer station is packed into large, plastic-lined boxes and transported to PaintCare’s facility. If possible, the paint is recycled into new paint. If not, it may be turned into fuel or used to make another product. PaintCare Inc. is a nonprofit organization established by paint manufacturers to plan and operate paint-recycling programs in states that have passed paint stewardship laws. Connecticut is one of only seven states in the country to pass the legislation.